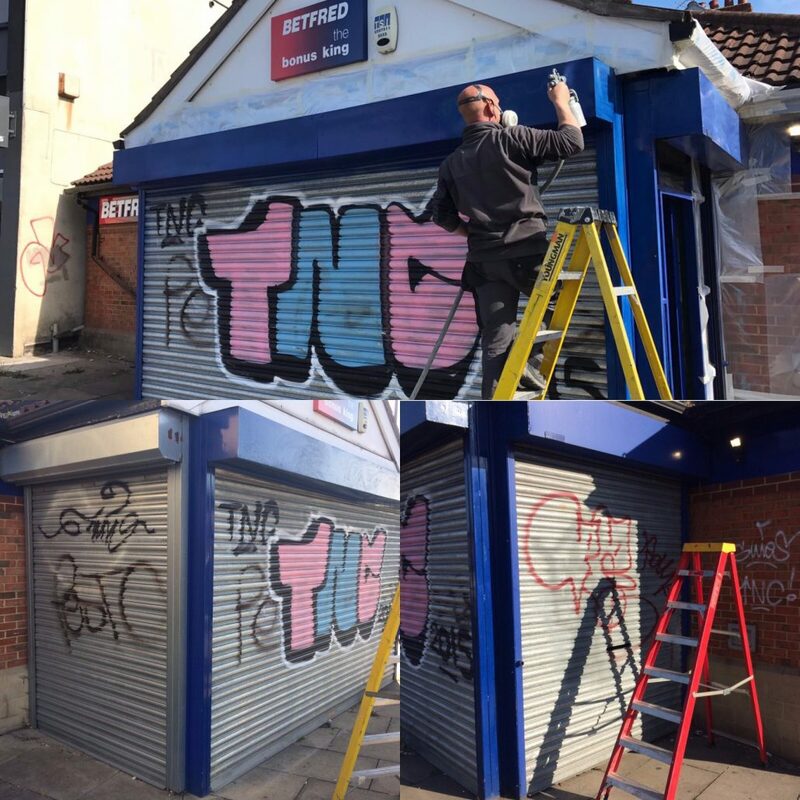 Anti-Graffiti resprays are becoming extremely popular – especially for commercial properties. This specific type of recoating saves our client’s time and money, as well as preventing future graffiti problems. 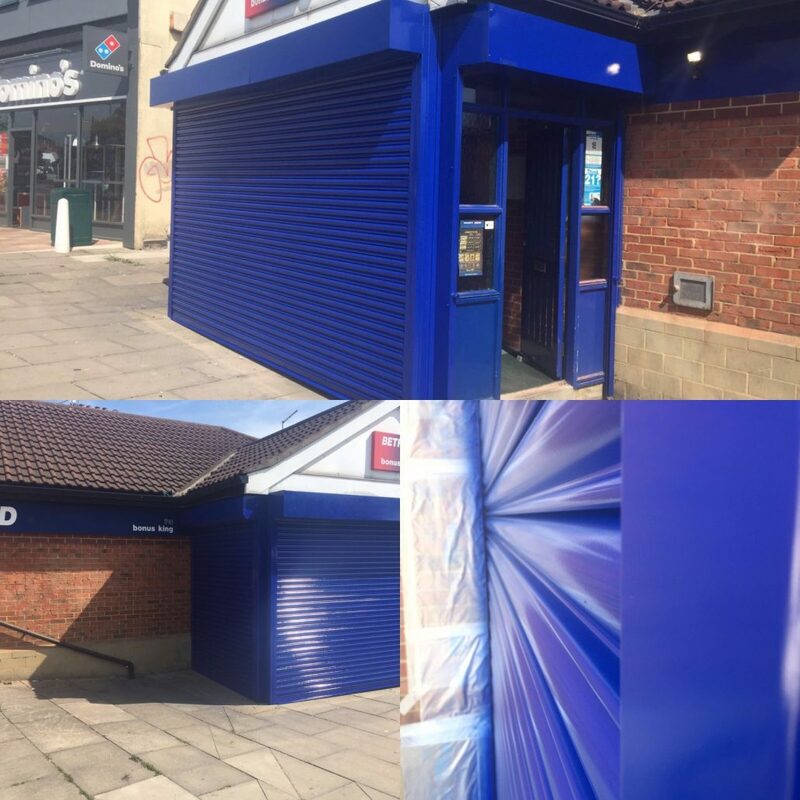 The high-quality coating used for our anti-graffiti resprays are designed specifically to prevent graffiti bonding to the surface that it may be on – most often shutters and shop front. 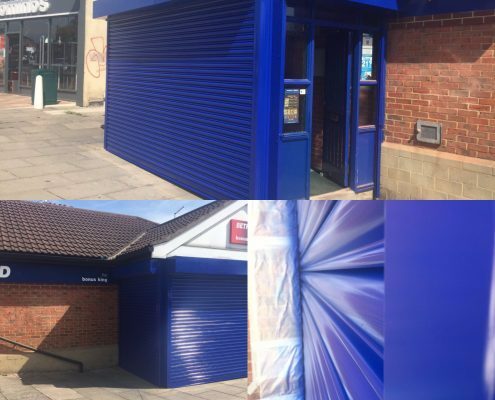 Its solution differentiates to more popular types of paint, with the product designed to repel from graffiti, making it easy to wipe off when being cleaned, unlike usual coatings which are damaged or need recoating as a result.